I've grown to enjoy the Mike Daley/Rosie Fernandez series, though the writing has fallen into a bit of a pattern. However the stories are great and they twist and turn nicely. While we know what will happen at the end, it's still a wild ride. In Judgment Day, Mike is offered role as co-counsel for a man about to be executed in 8 days. He's a lawyer that was convicted of killing his client and two others a decade ago. He defended drug dealers and mobsters, and no one was too upset. He maintains his innocence, saying he escaped the room where someone gunned the others down, slipped off a fire escape and was paralyzed. Mike isn't sure of the case, but when they're offered $50k, and a bonus to hire his brother as a PI, he takes the case to Rosie. They agree to try it, despite the fact that Mike's dad was one of the first officers there. Roosevelt was also investigating, and he grudgingly meets with Mike. He's a bit distant, and Mike knows it, frustrated by the SFPD closing ranks as he tries to investigate. They need to prove innocence or the execution continues, and throughout the 8 days, they're looking for information, they continue to file petitions, which are all rejected. Until the end. 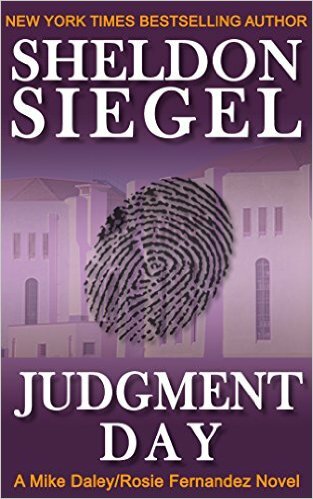 Unlike the other murder trials, the specter of execution hangs over this one and adds to the pace of the book. Really enjoyed it.